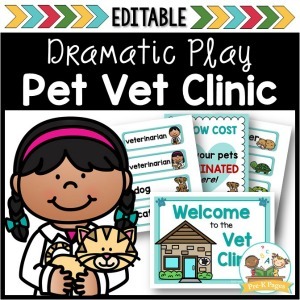 Do you have a dramatic play center in your classroom? Are you looking for other ideas for the center? 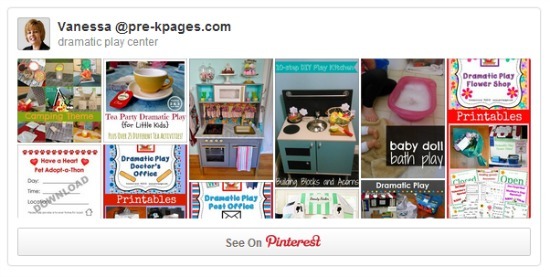 A workshop dramatic play center could be a fun place for boys and girls to explore and play. Offering pretend play experiences in a dramatic play center or in other areas of the classroom helps preschoolers develop social and emotional skills. 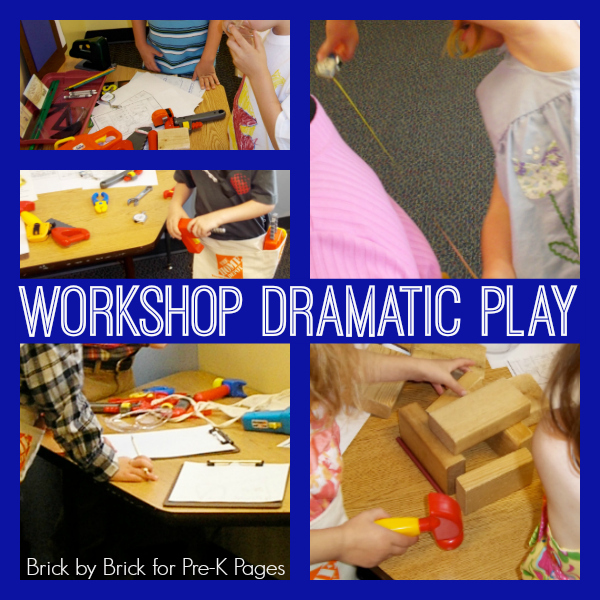 Dramatic play encourages children to pretend and act out different roles. They can be the parent in charge, or the baby who needs care. They can think about the postal worker, police officer, or firefighter and the roles these community helpers play in our daily lives. Dramatic play and pretend play encourages cooperation and the give-and-take required to be a part of a community. Children work out their different ideas and contribute in different ways to the play. They also work on independent problem solving, critical thinking, and resolving conflicts. 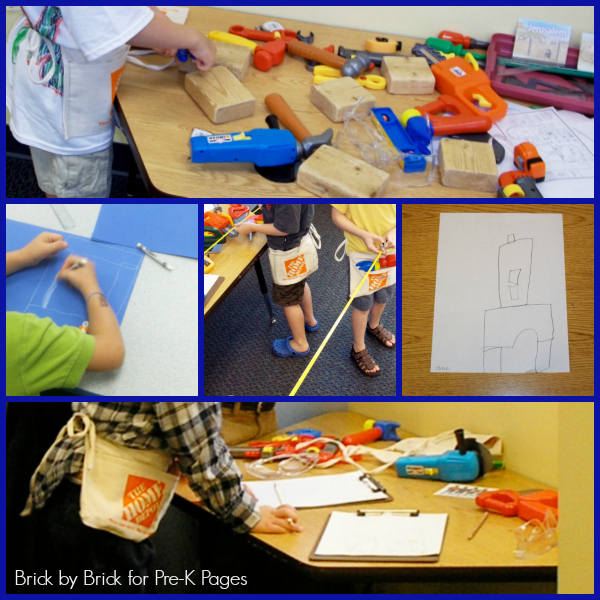 Providing the tools and props for a workshop dramatic play theme in your classroom will encourage children to pretend to be construction workers, carpenters, craftsmen, or other types of builders. Depending on the types of materials you provide, they could even be architects, landscapers, and other construction-related helpers. For additional literacy elements and enhanced play, add house plans, construction magazines, or printouts of blueprints. Check the magazine/book section at your home improvement store or search online for plans. Plastic jars with large nuts and bolts, plastic hard hats, wide paintbrushes, empty paint cans, and work lights or flashlights also could enhance play experiences in the workshop. As children use the tools and pretend to build, talk with them about what they are doing. Engage in the play as they lead but don’t interrupt or try to guide their ideas. Ask questions or wonder about things if they are interested. “I wonder how we could use this tool?” “This is a level. 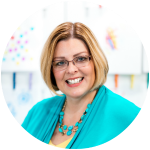 How do you think it works?” If children are really engaged in what they are doing, hang back and watch. Talk about what you see happening but do not feel like you must do much talking. Allow the play to naturally develop. As children use measuring devices, you may comment on the numerals you see or say something about the length they measured. In using the magazines or plans, point out letters or words you see. Again, do this sparingly and without interrupting play. Encourage children to draw their own plans or draw pictures of things they create with blocks or other building materials. 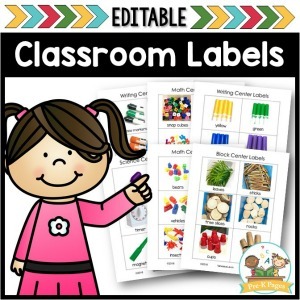 Using pictures (and words and numbers) to communicate their ideas builds those pre-writing skills. Offer blue construction paper, white crayons, and rulers. Children can draw their own blueprints. With close supervision, allow children to hammer nails into wood or drill holes with a hand drill. Using real tools is exciting and motivating for children. Create a home improvement store by adding a cash register, play money, shopping carts or baskets, self-stick notes for signs and price tags, work aprons or vests, and a store sign. 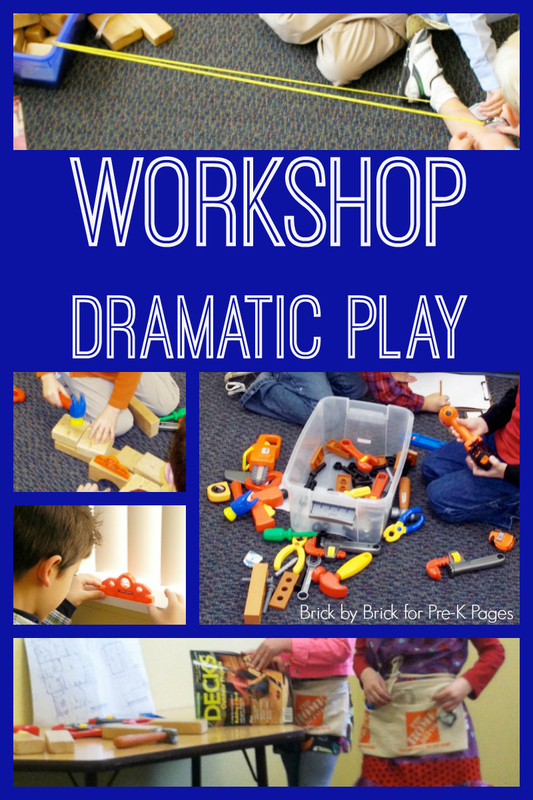 This workshop dramatic play center can provide lots of learning and fun for boys and girls to explore. 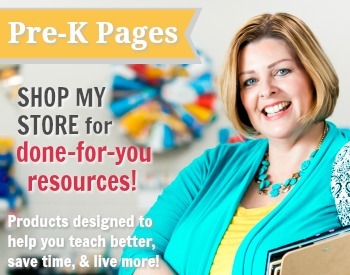 BIO: Scott Wiley, an early childhood educator for over 25 years, is editor for Pre-K Pages. 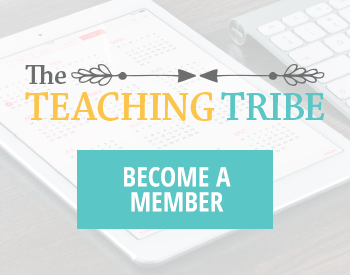 He blogs at Brick by Brick, exploring the connection between play and learning. Connect with Scott on Twitter, Facebook, and Pinterest. Check out his post on using PVC pipe and connectors in the blocks or dramatic play center.